Copper bromide is an industrial grade chemical which is extensively used for synthesis of organic compounds. 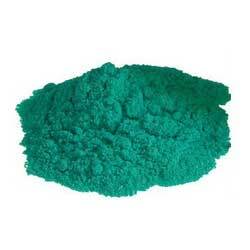 Copper bromide is a green color powder which is soluble in HCl, HBr and ammonium hydroxide. Our product is non-inflammable and non hazardous in nature. 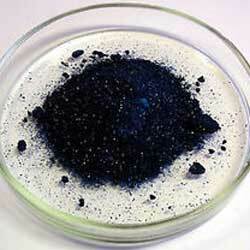 Copper bromide is extensively demanded in various laboratories. 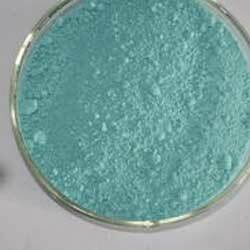 Copper (II) acetate anhydrous is a chemical compound which is dark green crystalline solid in nature. Our product range is extensively used in different industries as fungicide. This copper (II) acetate anhydrous is soluble in water and alcohol. We are experts in providing copper (II) acetate monohydrate to the customers. This copper (II) acetate monohydrate is widely used in various biochemical applications like DNA extraction. Our product is known for its anticancer, antibacterial and antifungal properties. Copper (II) carbonate hydroxide is an industrial grade chemical compound which is known for its longer shelf life. 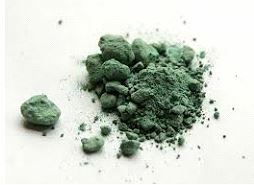 Our product is green color powder which is crystalline in nature. Copper (II) carbonate hydroxide is used for the development of various organic compounds. 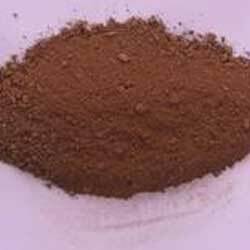 Copper (II) chloride anhydrous is a brownish yellow color crystalline powder. 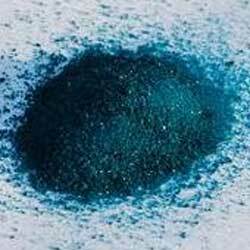 This copper (II) chloride anhydrous can react with air moisture and become blue green in color. Furthermore, our product range is also known as cupric chloride. Cuprous Bromide is also known as Bromocopper, Copper Monobromide, Copper I Bromide, Cuprous Bromide, 7787-70-4, AG-H-12192, Copper bromide (CuBr), AC1L2NJJ, AC1Q23SS and comes with Molecular Formula of BrCu and Molecular Weight of 143.45. It is manufactured through reduction of copper(II) sulfate solution which contains potassium bromide with metallic copper/sulfur dioxide/other standard reducing agents. It can be made available in different forms like in form of white tetrahedral crystals or white powder or cubic crystals (zinc blende structure) or as white crystalline solid that changes to green in light. Its properties include Boiling Point of 1345°C, Melting Point of 504°C, Density/Specific Gravity of 4.72 @ 25°C/4°C and solubility in cold water; ammonium hydroxide, hydrochloric acid and hydrobromic acid.